On September 4, 2017, Katy Nosic was shot and killed in the parking lot of the restaurant where she had started working. 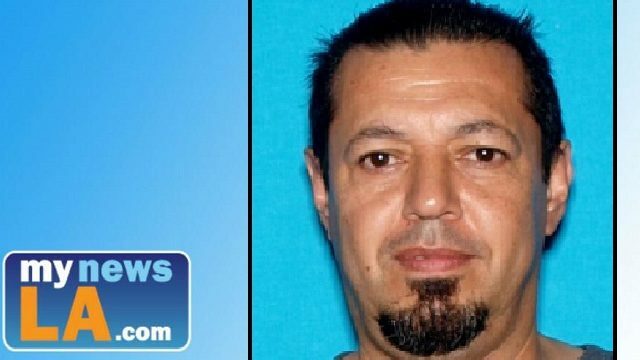 Seen fleeing from the murder scene was Martin Godinez, in a gold 2003 Chrysler Town and Country minivan with the California license plate number 5CKF285. He is the alleged suspect in Katy's murder. This has not been confirmed by authorities but a local television station reported that Katy was dating Martin's ex-wife which could have been the motive in this case. Based on crime location, it is advised to contact Los Angeles Regional Crimestoppers at 1-800-222-8477 if you have any information on Martin Jesus Godinez's whereabouts. Thoughts? Again to reiterate, it is only reported that Katy and Martin's ex-wife were dating. I generally don't like to post rumors here about cases, but a local television station mentioned that, so if that's not correct then we can blame them for spreading misinformation. I have not seen any updated news articles on this manhunt since the 15th so I'm assuming Martin has not been arrested. If that changes and the media doesn't report it, then please let us know as well. Found a "Justice for Katy Nosic" Facebook page. There hasn't been any updates since October 12th, 2017. However, because of that, I am assuming that Godinez is still at large as of this posting date. (7/1/2018). Martin Jesus Godinez was just featured on the Los Angeles County Sheriff Department's Facebook Page as part of their weekly "Wanted Wednesday" segment, so as of yesterday, October 3, 2018, he is unfortunately still at large. If Katy Nosic was murdered after dating Godinez's ex-wife, that lends some solid possibility straight supremacy might've sent him beyond the line between jealousy and murder. Depending on how much of a straight supremacist Godinez is, other straight supremacist groups, including Independent Fundamentalist Baptist groups, should watch out for Godinez possibly hiding in their ranks, since Godinez is already suspected of murder. I'd rather not speculate on motive. Or rather, speculation is ok if respectful and stressing it's your only opinion/view as a way of deducing possible whereabouts but I don't want to go into the territory of stating your scenario as implied fact. Godinez imo seems like a controlling and jealous personality type who has/had the potential to allegedly murder anyone dating his ex-wife, whether they be a man or a woman. (Admittedly it could have been even more embarrassing for him to lose his wife to a woman, but we'll never know what happened until the day Godinez is hopefully caught and goes on trial). Moving Godinez to the "Fugitives on TV" section since he is on the list of fugitives scheduled to be profiled for Season 1 of "In Pursuit with John Walsh."